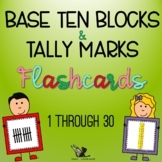 Students can match flashcards by adding the base ten blocks in the visual. 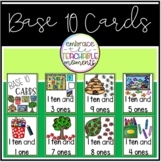 This is a set of base ten cards that can be used in a variety of ways. Fifth Grade is the first encounter students have with exponents now in Common Core. 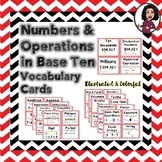 Base ten exponents are one of the easiest sets to learn for some and the most difficult for others. 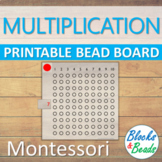 Hands on practice and review will assist in mastery, not to mention motivating students to learn while they play. 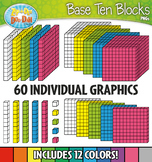 Students can use these fun polka dot base ten playing cards for all kinds of card games. 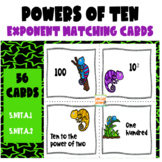 There is a base ten place value game mat included with these cards. These cards go to 50. 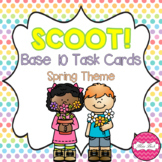 These task cards are perfect for small groups, differentiated math stations, or for playing games. There are 4 levels of cards with 20 cards in each level! Please leave a review and let me know what you think! Thanks for purchasing! This 5 page pack come with 10 cards. 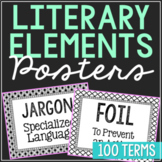 Print them and use them with Numbers. Student can match the numbers and right pictures. 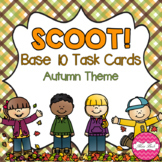 Can be use as a counting activities in Home base day care, family day care or kindergarten.